Between 2nd and 5th June, Panasonic System Solution Asia Pacific (PSSAP) unveiled its latest business solutions at CommunicAsia and BroadcastAsia 2015. 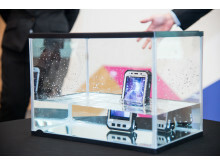 It brought to life how businesses can stay connected and mobile in today’s dynamic environment. 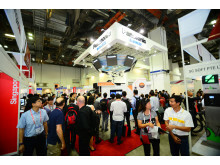 Around 3,000 and 3,500 visitors attended CommunicAsia and BroadcastAsia respectively. Dr. Yaacob bin Ibrahim, Minister for Communications and Information (Singapore) was invited to tour both CommunicAsia and BroadcastAsia booths. Seven new products and solutions were announced - PT-RQ13K projector, AG-DVX200 4K camcorder, LTO Archiving Service, Blu-Ray LB-DH8 Data Archival, Toughpad FZ-X1, PBX KX-HTS824 and a new model HDVC which can accommodate 10 connection points compared to the current 6. 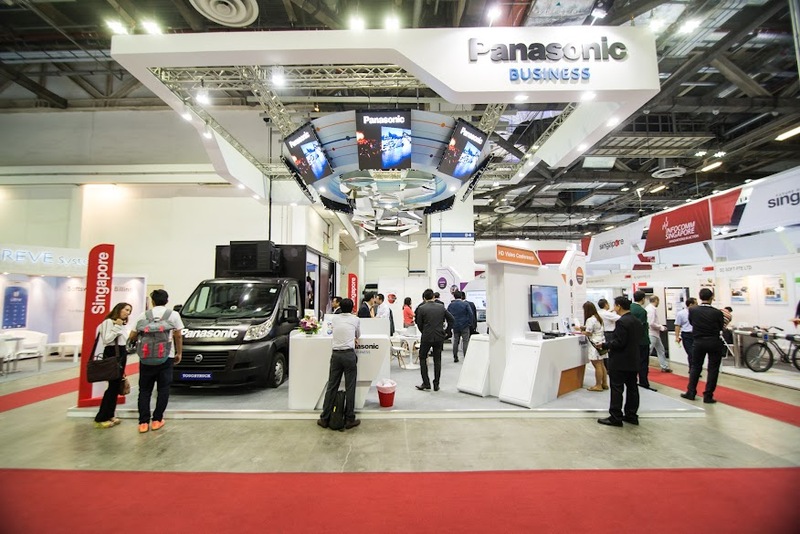 On display at CommunicAsia were Panasonic’s latest products and solutions such as Toughbook, HDVC, PBX, Blu-Ray archival and Wireless Infrastructure services. 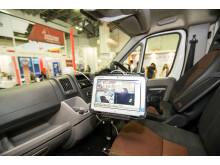 The Toughtruck was a crowd drawer with its display of integrated communication and surveillance solution. It unfold limitless possibilities for businesses to explore new ideas that help maintain communications, as well as monitor and manage operations of a mobile workforce. 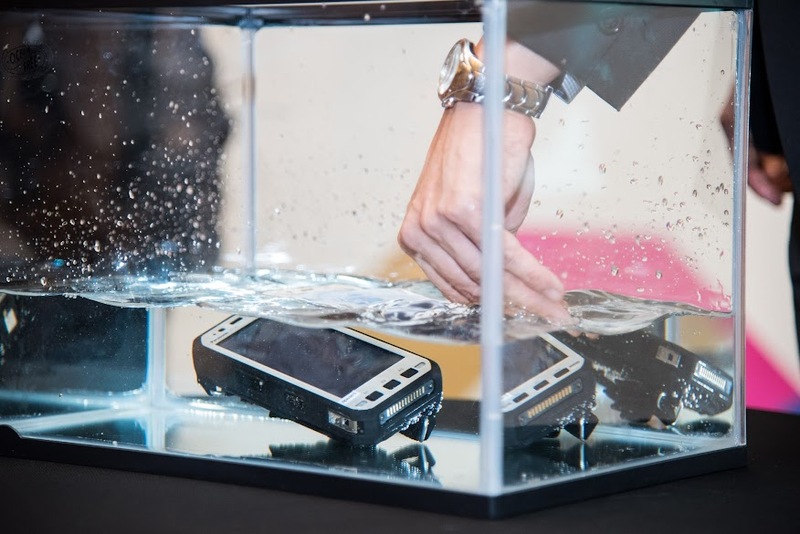 The ruggedness of the Toughtruck and Panasonic Toughbook series was echoed during the earlier press conference live demonstration where a Toughpad continued to function effectively despite being completely submerged into a water tank and dropped from a height of 2 metres. The Tesla car projection mapping was another interesting highlight. Crowds gathered to enjoy the life-like motion graphics projected by Panasonic’s DZ21K. 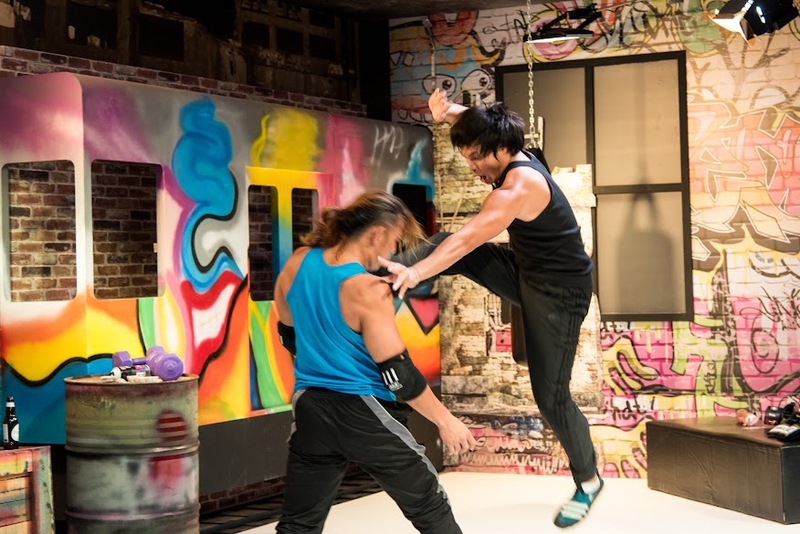 Multiple Panasonic Varicam HS cameras captured every high-speed kick and punch in the live sparring stimulation of the Thai Boxers against a street alley scene. The 240fp high speed recording and 4K quality imaging provide rich, vibrant content for producers to weave into their action packed feature films or documentaries. In the Varicam Suite, low intensity tiles and small lights were used to show Panasonic’s Varicam 35 ISO5000 lowlight capability. Visitors were asked to compare the picture quality of the images captured on their cameras or smartphones with that of Varicam 35. With its wide colour gamut and 4K resolution, the Varicam 35 was the clear winner. Mr. Hiro Sakamoto, Managing Director of PSSAP, shared that the company will continue to provide innovative products, total system solutions and value added services, and increase partnerships so as to grow the B2B portfolio within the Southeast Asia and Oceania region.